Prime logistics rents increased globally in the year ending March 31, with growth accelerating in many markets due to strengthening economies around the world and the rise of e-commerce. This was a key take-way from CBRE’s latest global Industrial & Logistics research report, which shows that prime logistics rents – which are the highest achievable lease rates for top-quality warehouse and distribution centre space – increased by 3.2 percent across the globe in Q1. That exceeds the previous 12-month period’s 2.2 percent global increase. The biggest gainer was Vancouver, which posted a 29.1 percent increase due to its lack of land available for industrial development amid its growth as Canada’s largest port. 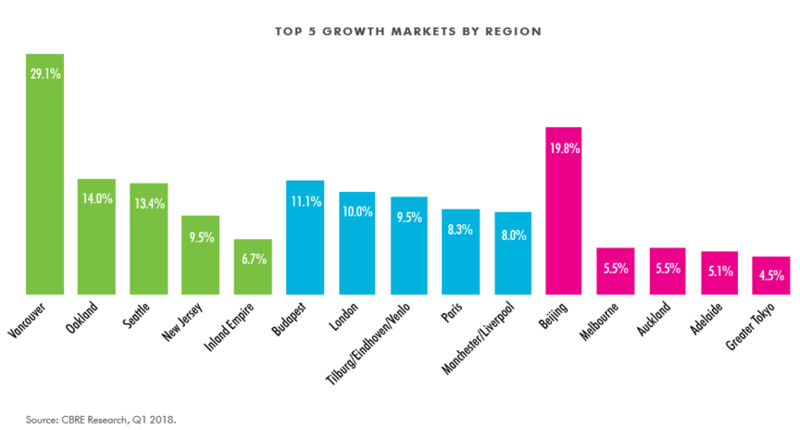 In Asia Pacific, three of the top five growth markets were in Pacific. Beijing topped the list with rental growth of 19.8%, followed by Melbourne and Auckland in equal second place with rental growth of 5.5%, followed by Adelaide (+5.1 per cent) and Greater Tokyo (+4.5%). Prime logistics rents offer a means of gauging the strength and momentum of warehouse markets across the globe. That the growth of prime logistics rents has accelerated globally bodes well for the industry’s continued momentum. “This is a positive indicator that we’re still seeing global growth and underscores the theory that e-commerce-driven demand for logistics facilities has created a fundamental shift in this market, establishing new baselines for occupancy, rents and other measures,” said David Egan, CBRE’s Global Head of Industrial & Logistics Research. “Consumer requirements for speedy service have forced everyone in the retail supply chain – manufacturers, suppliers, distributors and retailers – to carry more inventory in more locations. Last-mile delivery has been a key focus, generating requirements for logistics space in densely populated areas,” Mr Edge said. He noted that soaring construction costs in Auckland (8.8% per annum in the past five years) and a flight to quality logistics facilities had driven prime rent growth in that location. “Meanwhile in Melbourne, which has the highest population growth in Australia, increased demand for goods has resulted in increased demand for logistics space with Adelaide’s growth having been driven a lack of new quality supply in the past two years,” Mr Edge said. The CBRE report highlights that Asia Pacific markets accounted for six of the 10 most expensive prime logistics markets, led by Hong Kong at a rate of US$30.99 per sq. ft. per year. Sydney came in at 10th spot with a rental rate of US$9.61 per sq. ft. to be the most expensive market in Pacific, followed by Auckland (in 14th place), Brisbane (21st), Canberra (23rd), Perth (34th), Adelaide (37th) and Melbourne (48th). CBRE examined rents in 71 global logistics hubs for its report. 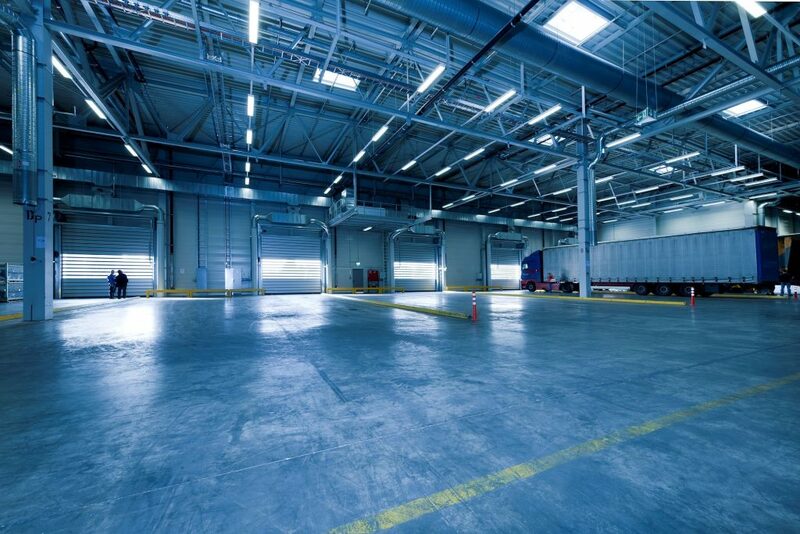 The company defines prime logistics rents as the highest achievable rent for industrial distribution space of the highest quality and specification in the best location within each market.